Snoring is not a problem to take lightly. The stereotypical image of a snorer is a man serenely sleeping in bed, as every few seconds he erupts with a solid, loud vibration. His long-suffering wife, beside him, stares up at the ceiling wide awake. Like most stereotypes, this picture is very out of focus with reality. First, while more men than women snore on a nightly basis, many women are just as affected by snoring. Secondly, this image is off because the snorer is not really enjoying a peaceful night’s sleep at all. In fact, both men and women who snore are at serious health risk, because of this constant struggle for oxygen each time sleep is attempted. Snoring aids such as the anti snoring mouthpiece can be beneficial to a snore’s health for a variety of reasons. It can’t be said that the very act of snoring itself causes problems. Outside of drying the sinuses, and the throat, there is no direct effect of a night spent snoring. The health problems come from the repeated number of times the snorer is awakened in the night from the snoring, and because even the sleep that does come, is not as restful as non-snorers experience. The short-term effects of sleep deprivation are tiredness, difficulty with focus, and irritability. Long-term effects of too little sleep are grim. Risk factors include an increased chance of diabetes, heart disease, and high blood pressure. How the stop snoring mouthpiece works? Which is the best stop snoring mouthpiece? A condition known as sleep apnea is more than just routine snoring. A diagnosis of sleep apnea by a doctor is usually only made after a patient is observed in a sleep center or hospital. If it is confirmed as a case of sleep apnea, the patient is usually prescribed a Continuous Positive Airway Pressure or CPAP machine to help with breathing during sleep. But even the best CPAP machine does not cure snoring. It can only make breathing easier for the person who has this condition. CPAP machines are reported to be uncomfortable, and take a long period of adjustment for those with the condition. When sleep apnea is not the problem, other methods to stop the snoring should be tried. Along with anti snoring devices for snoring problems other than sleep apnea a doctor will usually recommend losing weight, sleeping on your side, treating congestion, keeping the head elevated during sleep, and stopping smoking or using tobacco products. Also recommended are avoiding over the counter pain medications containing acetaminophen, sedatives, or drinking in the hours before going to bed. Among the types of aids to stop snoring a doctor will often recommended an anti snoring mouthpiece, especially one fitted by a dentist. 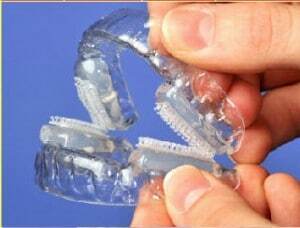 Sometimes mouthpieces are also referred to as dental appliances, advancement splints, or mandibular devices. They are known to be very effective in reducing or stopping snoring altogether for many. The small plastic devices are worn during sleep to prevent the soft throat tissues from obstructing the airway by collapsing during the night. With the device, the lower jaw is brought forward, and the soft palate is lifted. Other similar devices will also hold the tongue back from falling over the windpipe. With the dentist fitted device, the appliance is created to suit the snorer’s unique problems and dental structure. A mold is taken of the snorer’s mouth, and then is sent off for a custom mouthpiece or the dentist will fashion the device in-office. A dentist who specializes in this type of dentistry can be located by checking with the Academy of Dental Sleep Medicine. The downside of getting an anti snoring mouthpiece fitted by a specialist is of course the cost. Since this type of dentistry is seldom covered by either dental or medical plans, most patients will need to pay out of pocket. But anti snoring mouthpieces are also available over the counter, and these are far less expensive. While a dentist does not fit these mouthpieces, there are methods to fit them at home and there are varieties available to suit individual problems and needs. Knowing the position the snorer is usually in when the snoring occurs is the most helpful in finding a mouthpiece that works. For instance, if the jaw is slipping back and the mouth falls open then looking for a mouthpiece that specifically holds the mandible in place to keep the jaw from falling backward is useful. In the case of the tongue falling back toward the throat in sleep, and decreasing airflow then look for a specialty anti snoring device that keeps the tongue in place during sleep. In other cases, you might want to buy an anti snoring pillow, especially if a snoring mouthpiece feels uncomfortable or causes you excessive jaw pain. Earlier snoring devices were often hard and difficult to fit. Some dentists warned that using them could misalign the teeth. But most newer snoring devices, such as Zyppah, are more pliable, easier to fit, and cannot therefore cause this problem. When ordering a mouthpiece looking for specialty devices can sometimes mean paying a bit more, but the price is usually well worth it. In fitting a home device, it is important to follow all the directions that should come with the anti snoring mouthpiece. Most mouthpieces come with a spatula that fits into holes in the front of the device. To make the device malleable, the snorer will boil water, and then pour the water into a container. Place the mouthpiece in the water for time instructed by the manufacturer. After shaking the water free of the device, place it by the spatula into the mouth. The snorer will then need to push the lower jaw forward and then bite down hard for several seconds. Holding it under cold water then sets the mold. 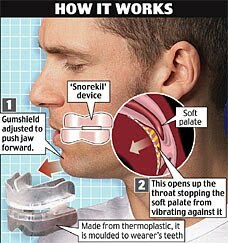 When set correctly at home the molded anti snoring device works much the same as one fitted by a dentist. With any type of device, it is necessary to adjust to it while sleeping. Most people who use anti snoring mouthpieces comment that the device gave immediate relief from snoring, but it took them from a few days to a few weeks to customize themselves to sleeping with the device. Good Morning Snore Solution is created to stop snoring through the use of the mouthpiece that was developed by one of the top sleep researchers in the world. Using this device is very comfortable and easy. It is the easiest way to help you get rid of the snoring noise that you are hearing every day. It can also give you a comfortable feeling than any of the snoring mouthpiece devices that can find in the market today. This product is also much manageable compared to the conventional CPAP devices. How good does the GMSS work? GMSS is a tongue retaining mouthpiece and not jaw retaining like other mouthpieces. As you know, most of the snorers snore because their tongue falls toward the throat. Then, it blocks the airway and makes a loud noises while the person breath through mouth. The purpose of this snoring mouthpiece is to make sure the tongue doesn’t fall back during sleeping and that’s how it keeps you from snoring. Make sense, right? Most of the mouthpieces in the market need to be mold using hot water to fit with your mouth. You need to do extra steps to mold the mouthpiece, also you may not feel comfortable to wear mouthpiece if it doesn’t fit well with your jaws. The alternative, you may consult with your dentist to order custom made mouthpiece that fits to your mouth, but I warn you it would be costly, around $1000-$2000 for a single one. For these reasons only, Good Morning Snore Solution (GMSS) would be a great help for those who look for simple, ease and cheap snoring mouthpiece. It works to keep your tongue from falling back toward the throat and blocking the airflow that’s why it’s called tongue-retaining mouthpiece. No need to customize or to mold, just wear it and you soon will stop snoring. You should look for this as your guideline on buying anti-snore mouthpiece. FDA (Food and Drug Administration) is a government agency charged to protect american citizen through foods, drugs and medical devices regulations. FDA Cleared means that EVERY aspect or component of the product, including any claim found on the kit boxes, has been scientifically proven to be valid, safe and effective. GMSS has already passed FDA regulations that means GMSS is proven to be safe and effective to treat snoring. Not like FDA, BBB (Better Business Bureau) is an organization that ratings the companies based on their reputability (A-F). GMSS has been manufactured by MPowRX Health and Wellness Products Inc. The company itself has been listed in BBB with an A rating. It means that the company behind GMSS has been trusted as a reputable company that market their products and handle the complaints well. Please do note that many anti snoring mouthpiece companies do not get BBB accredited, MPowRX does well with an A rating. If you are the one who has the snoring problem then it is better if you try the product for yourself. You will surely find it easy and comfortable to use so there is no more hassle in your part. You can also be sure that your partner will not be bothered again by your snoring. Before you use the product, you need to read first the instructions that are provided for you. This way, you will learn the easy steps on how to use the product properly. Place the mouthpiece on your mouth and between your lips and your front teeth. Squeeze the tip of the mouthpiece with your first finger and thumb while you are sucking the air out. Push your tongue to the end of the product then release your finger and thumb. After that, relax your tongue and go to sleep. Sleeping is more comfortable with the Good Morning Snoring Solution. Because of its one size fits all feature. Where else you can find Anti Snoring Mouthpiece that has clinically proven, FDA cleared, one size fits all, and It also gives a 30 days money back warranty for your assurance. 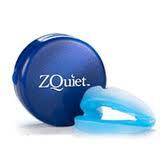 Zquiet is not simply an anti-snoring device that you can get from the market. 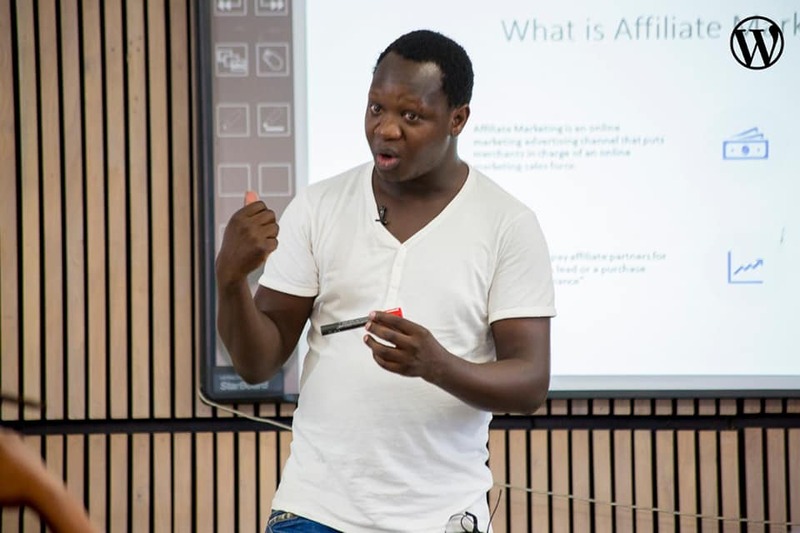 There are so many devices available that is why it is a sensible move that before buying the item, you conduct investigation and compare all the benefits that you can get. One thing that really makes zquiet amazing is that it is proven to stop snoring. Additionally, the company behind ZQuiet gives 30-day trial for only $9.95 to those who are not assured with the result. So now you do not have to suffer a lot with snoring problem for that long. Give yourself and your partner a pleasant and peaceful sleep because you both deserve it. Purchase an anti-snoring device and make yourself free from sleepless nights. Give yourself and your partner a sound sleep and live a healthy life. VitalSleep Stop Snoring Mouthpiece gives airflow to your lungs quickly and allows you to make a quiet breathing and have a peaceful night sleep. It is also includes a customized fit feature that give you comfort when you wear the device. Using this kind of mouthpiece is easier than sleeping with a pillow on your head. You and your partner will surely get a good night sleep every night once you are using the VitalSleep mouthpiece snoring control. Compared to other products, this is not so expensive and for sure, all of you can afford this product. The device is also very easy to use and you can check the instructions included in the package when you buy the product. It is recommended by doctors and dentists. It has a 1 year warranty. If you are not aware of your snoring problems, then maybe, it is time to ask your partner if you are having this kind of condition at night. Once you’ve proved to yourself that you need to find a way to help you deal with snoring, then, the best way for you to do that is through the VitalSleep Stop Snoring Mouthpiece. If you have the snoring mouthpiece, you can now be assured that your sleep will always be comfortable and easy for both of you and your partner. When you buy the product now you can avail the buy 1 take 1 promo and a 30 days money back guarantee for the product. Before you buy the product, you need to make sure that you already know the precautions. VitalSleep Stop Snoring Mouthpiece is now one of the leading and top sellers in the market today because of its high quality and performance. Compared to Pure Sleep, I’d rank Vital Sleep as the best anti snoring remedy.